The National Museum of Australia's exhibition 'Spirited: Australia's Horse Story' celebrates our relationship with horses since European settlement. Back in the 1960s, Yass couple Harold and Mary Read also wanted to celebrate the role of horse-drawn transport in Australia's history. 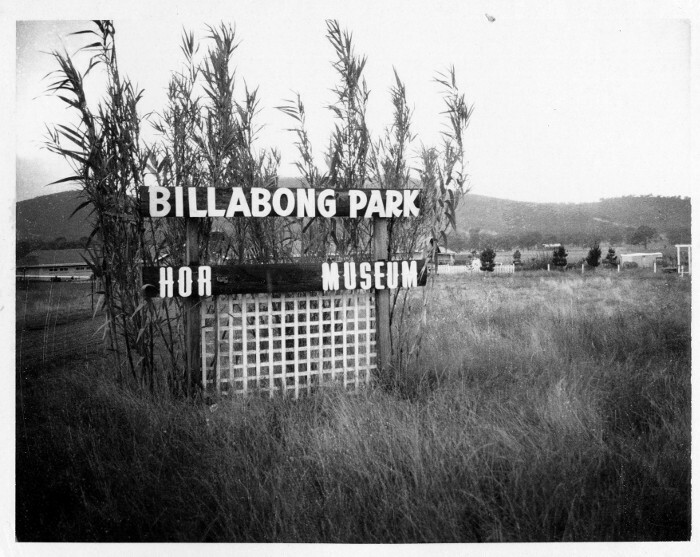 A group of files about their struggle to establish and continue their Billabong Park Horse Era Museum are this month's ArchivesACT Find of the Month. 1968 Billabong Park promotional flyer. Click on each page for a larger view. Located in North Watson, Billabong Park was in operation from August 1966 to March 1976, but its story goes back further than that In December 1962, Harold George Read wrote to the Department of the Interior expressing his intention to construct an "early Australian township." 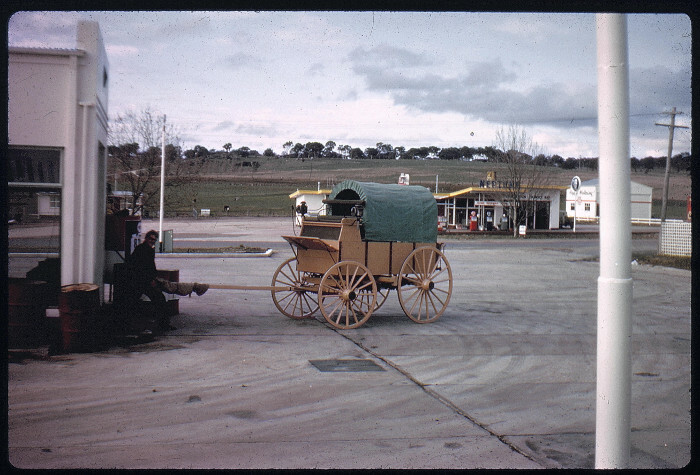 Read, who ran a service station in Yass, had been collecting and restoring old horse drawn vehicles for this purpose over the preceding three years. Initially he had intended to build on his own land outside Cooma but felt Canberra would be a more suitable location. 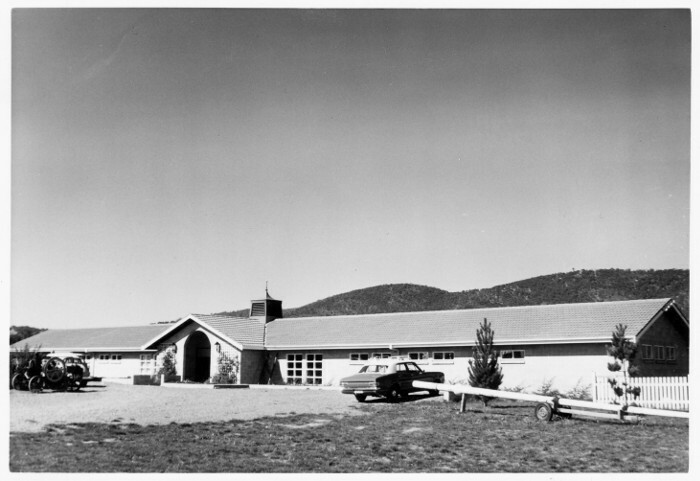 The Department saw merit in Read's proposal and a 7¾-acre site in North Watson (Block 1 Section 62 Watson) was set aside for a museum in December 1963. 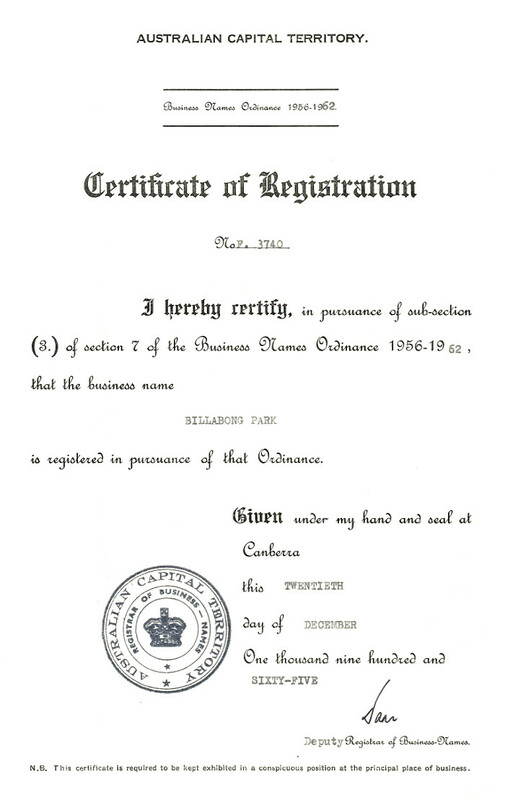 Certificate of Registration for Billabong Park. On 23rd September 1964, Read was offered a 25 year lease on the site for "the conduct of an establishment and the display of individual items or relics being to the approval of the Minister." The Canberra Times, reporting on the lease, quoted Read as saying "We aim to commemorate the good old days of the horse era with a light-hearted, yet dignified, exhibition." Read's lease conditions included a building scheme for "a residence costing not less than $30,000 [to be commenced] within six months and completion within twelve months." In February 1965, Read applied for an extension of time to erect a museum building as he was having difficulties raising finance. While Minister for the Interior, Doug Anthony, rejected Read's request for financial assistance from the Department, he did provide a temporary solution. Read was offered rental of one of the Canberra Showground poultry sheds to house his collection at $1000 per year. Read accepted this offer and opened his museum there in January 1966. Read's financial problems were soon resolved when in May 1966 he took on a business partner, Richard Littlejohn, a grazier from Harden. Building of the $24,000 Billabong Park Horse Era Museum, located on Stirling Avenue, Watson, was soon completed. 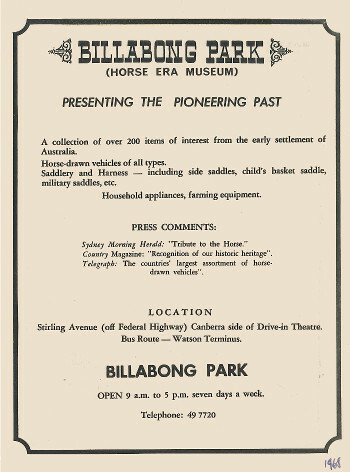 Opening in August 1966, Billabong Park's collection initially consisted of over 100 exhibits that included 40 horse drawn vehicles. Billabong Park Horse Era Museum main building. In the museum foyer, amongst some smaller collection items, visitors could find over 200 bottles of prize winning grain dating back to 1885. The immaculately restored buggies and carriages were in the west wing. The collection included rare items like an 1841 buggy once owned by the noted explorer Hamilton Hume and a hearse dating from 1872. The hearse, built by Burgess and Moller in Hill End for Undertaker William Reed, was the source of some drama for Harold Read when collecting it in 1962. The Canberra & District Historical Society Journal (June 1967) reported that Read had purchased the hearse from a Mrs Musgrave of Sydney in 1962. On his arrival in Hill End to collect the hearse, Read was confronted by a couple of locals telling him "You can't have our hearse!" After several phone calls, with the sale of the hearse being confirmed, Read was able to load it onto his trailer with the assistance of the reluctant locals. The following photographs from the file 125/62/1#01: Blk 252 Gungahlin - Now 1/62 Watson (Horse Era Museum) illustrate Read's restoration work. They show an 1869 Cobb & Co Freight Wagon before and after restoration. 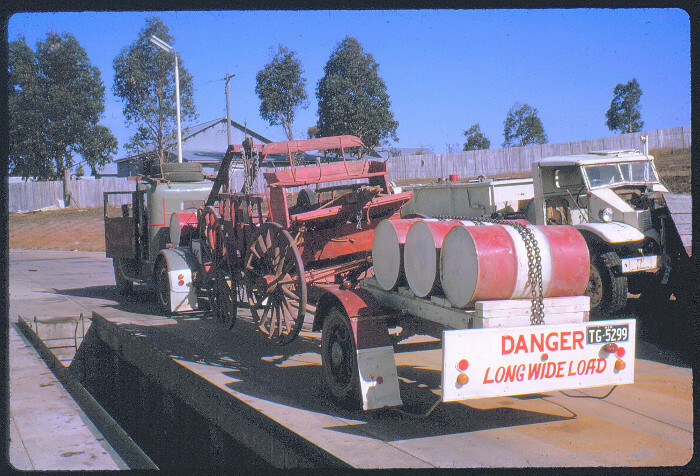 The excellent condition of many of the Billabong Park exhibits was a result of Read's restoration work. An 1869 Cobb & Co Freight Wagon before restoration. The Cobb & Co. Freight Wagon after Harold Read's restoration. Despite the quality of exhibits and the positive media stories about Billabong Park, Read was soon facing financial difficulties again. Billabong Park had a steady stream of visitors but not enough to make it a profitable concern. Read put this down to Billabong Park's location some distance from the Federal Highway and the inadequate directional signage allowed by the Department of the Interior. The North Watson location was also some distance from most of Canberra's popular tourist spots. 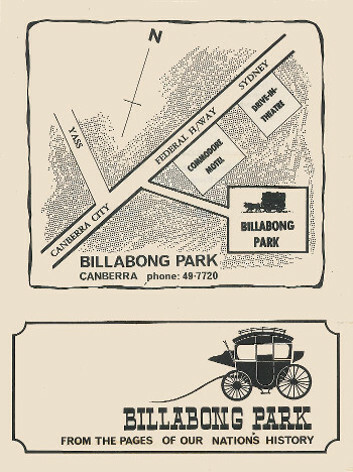 By 1970 Read was considering auctioning Billabong Park, land and contents separately or as a going concern. Director of Tourism L.R. 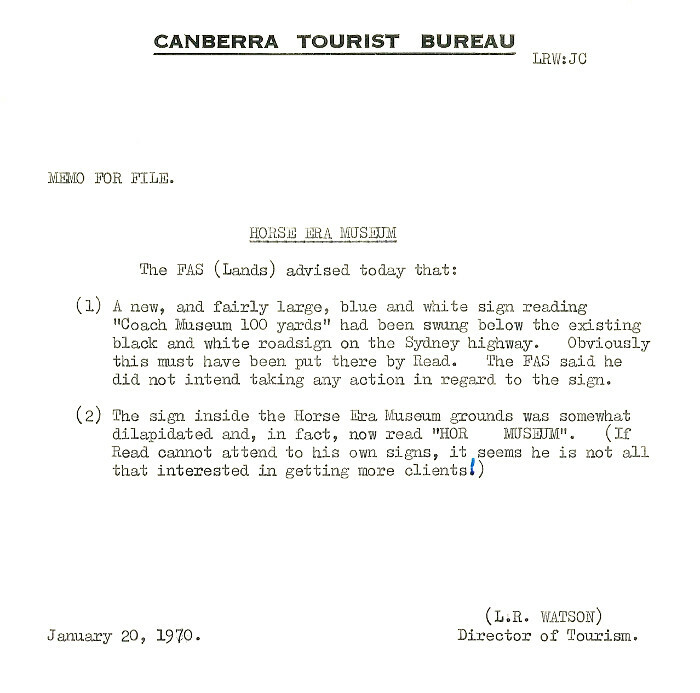 Watson wrote in a 1970 Canberra Tourist Bureau (CTB) memo, "He [Read] has about 20,000 patrons per annum, which bring in a maximum of $6,000, but this is not all income, for he has capital repayments and a small annual land rent of $110. Lack of finance has forced both he and his wife to seek regular employment in Canberra." Read considered patronage to Billabong Park needed doubling to make it a financially viable concern. Introduction of a "special tourist feature sign system" that would embrace Billabong Park. The "name Horse Era Museum was not sufficiently attractive to visitors" with "Coach Museum" being offered as an alternative. Approaches had been made to the Department of the Interior to establish a Pharmaceutical Museum and a Veteran Car display in Canberra. The Department thought Billabong Park could incorporate one of these. Improved road access to Billabong Park. Regular window displays in the Canberra Tourist Bureau's Melbourne Building office. The following Canberra Tourist Bureau memo and accompanying photos indicate that Read, unofficially, acted on one of these ideas. Canberra Tourist Bureau memo of Billabong Park signage (File 70/10 folio 25). 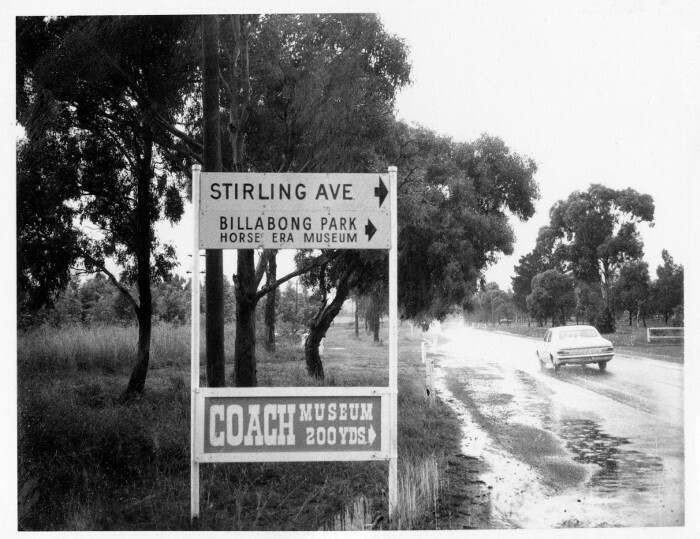 (1) A new, and fairly large, blue and white sign reading "Coach Museum 100 yards" had been swung below the existing black and white road sign on the Sydney highway. Obviously this must have been put there by Read. The FAS said he did not intend taking any action in regard to the sign. (2) The sign inside the Horse Era Museum grounds was somewhat dilapidated and, in fact, now read "HOR MUSEUM".